Are you starting out your workers’ compensation claim for you or a loved one? Do you need help understanding the process? If you are having difficulty with any component of the workers’ compensation claim, we have numerous resources available for you. You may think you are alone, but thousands of everyday workers like you are injured on the job and have to face high medical bills and being unable to work. Our FAQ section will help answer any eligibility and after filing for workers’ compensation claim questions you may have. It's important to work with a workers' compensation attorney that is licensed in your state. 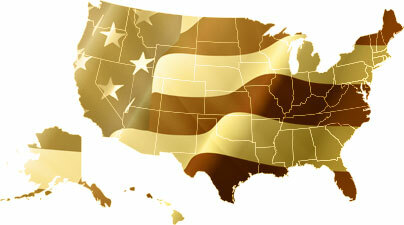 Learn more about workers' compensation attorneys in your state and how to find them here. Working with a workers' compensation attorney who's licensed to practice law in your city is important. Here's a little more information on how you can find one. Do You Need a Workers' Compensation Attorney? If you've been injured at work, you may not be sure if you need an attorney or not. Here are some top scenarios where you may find you need legal aid. An attorney is the best resource to turn to when you have questions regarding workers' compensation. We've asked a licensed attorney, Alaina Sullivan, her opinion on some of your most commonly-asked questions. Your workers’ compensation claim may vary depending on the type of workplace injury that occurred. Learn more about the most common workplace injuries and whether or not you could qualify for a claim based on your injury alone. Have you come across a confusing workers' compensation term? If so, visit our Glossary today. If you work for a large corporation, it should have clear protocols on how to handle messes to prevent an accident to occur. In fact, most companies with three or more employees are required to have some form of workers' compensation insurance policy. Check out the various corporations and companies who are required to have insurance policies and how you can be successful with your claim. If your workers' compensation claim was denied, you likely need to go to trial. Here are some top ways you can prepare for your trial depending on who your employer is. Some insurance companies may be more likely to deny your claim than others. Learn how to file an appeal and fight to get the benefits you need here. Did you know that workers' compensation laws vary by state? From whether or not you're insured to how long you have to file, your claim can vary wildly based on where you live. Fighting a workers' compensation denial will vary by state. Here is a little more information on how you could be approved depending on where you live. Depending on your job and industry, injuries can occur. Mechanics or construction workers are more likely to be injured on the job than someone who works at a desk job. Read on to learn more on how to file a workers' compensation claim based on your specific occupation. Depending on what types of equipment you use on the job, catastrophic injuries can occur. People who use heavy machinery may be more likely to suffer injuries than others. If you're filing a workers' compensation claim for the first time, you may not have any idea how much your claim is worth. Depending on your injury and occupation, you could be entitled to tens of thousands of dollars. Did you know that if you're a part of a union, you may have a much stronger chance of qualifying for workers' compensation? Learn more about how unions affect your claim here. During the winter, snow and ice creates added risk for those who have to work outside, such as pushing shopping carts and slipping on ice in the parking lot or shoveling the sidewalk. Learn how you can qualify for workers' compensation. For the best outcome, hiring a workers’ compensation attorney would be your best bet. He or she can help you through paperwork and get the settlement you deserve. If you are even considering filing a workers' compensation claim, you should speak to a workers' compensation attorney as soon as possible.